Usually ships within 3 business days. Contact us if you need it sooner. It has been so long since I have played with my sewing machine, but now I am inspired to start it up again. The hints are wonderful and easy to follow. I just received this pattern recently so I haven't made the jeans, yet. I will probably wait for cooler weather since it's summer at the time of this review. It's going to be a great project, though! The pattern is printed on heavy paper, the instructions are in a spiral bound book. I've read through the book and the instructions are clear, easy to understand and very detailed. The pictures and drawings are helpful. Highly recommend. 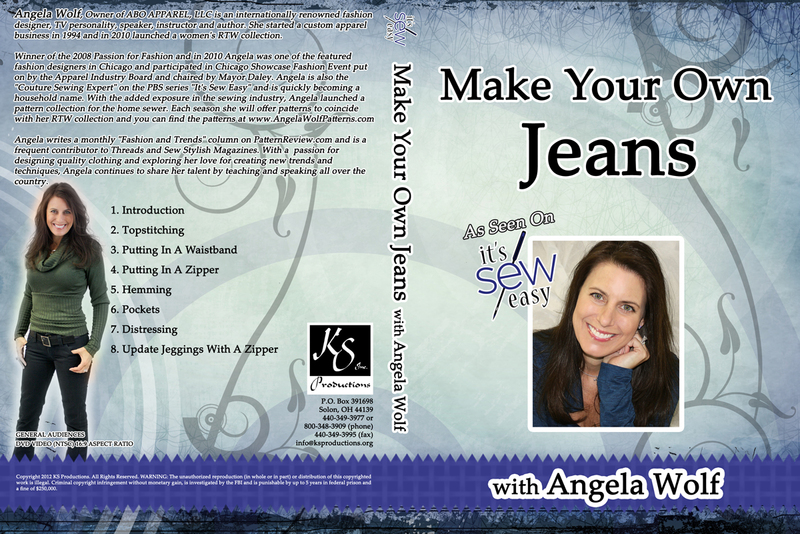 I would have given it 5 stars if Angela would have taken you through assembly of her jeans pattern so I could follow along when making mine for the first time. No worries, I can do it!